Making this homemade berry pastry with your kids will not only satisfy your sweet tooth – but provide lots of family fun in the kitchen! Perfect for a Valentine’s Day treat or any day you just want to make special. Think of these pastries as tasting like a toaster pastry from the freezer section at the store, but about a million times better. Plus we use real and fresh fruit as the filling for our homemade berry pastries. Most of the time we use blackberries as the filling in this recipe, but you can switch it up however you would like. Strawberries or raspberries would be delicious! We love creating this recipe as a family because our kids get so excited about helping with it. 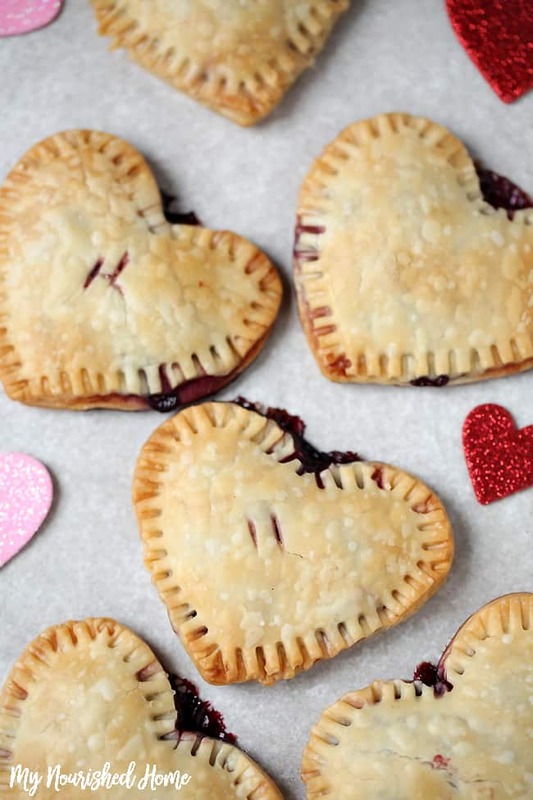 First, we let them roll out the refrigerated pie crust and then they get to cut the crust into heart shapes. After we have diced the berries up and mixed them with sugar we then let the kids help us fill the pastries with the berries! It is a lot of fun and a good way to spend some quality time in the kitchen together. 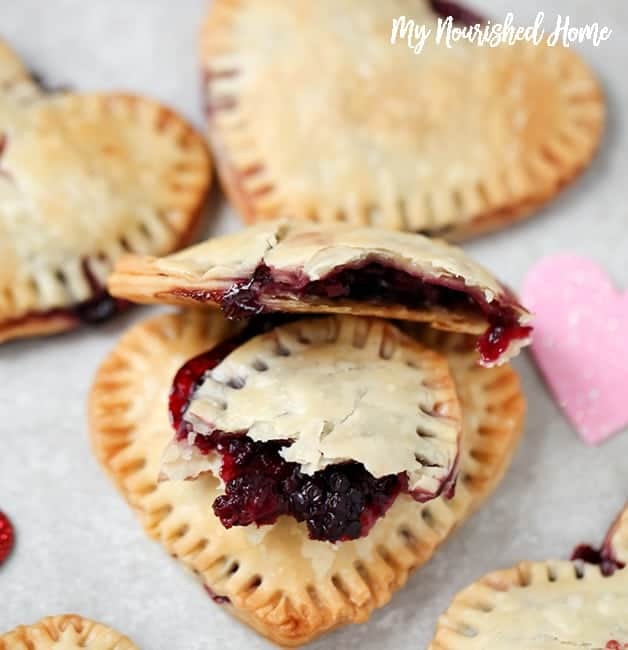 These fresh berry pastries would also be an adorable treat to take to work or school for a Valentine’s Day treat! You would be the best Valentine ever if you showed up with these for breakfast. 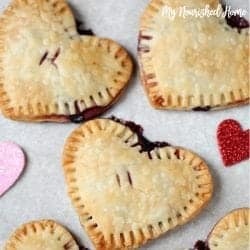 How fun would it be to have your kids help make these and them being able to deliver a homemade Valentine treat to their friends? Or grandparents? This recipe is very simple and incredibly tasty which makes it a go-to treat recipe for me. You can adapt this homemade berry pastry recipe to what works best for your family too. You can switch the berries up for your favorite or use frozen or homemade pie crusts if you prefer them over refrigerated ones. 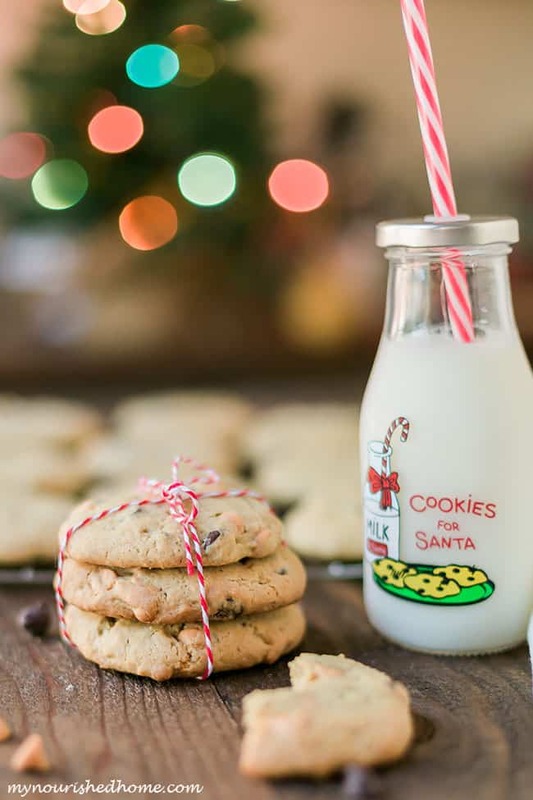 These Cream Cheese Cookies are perfect for every holiday… and every other day of the year… YUM! 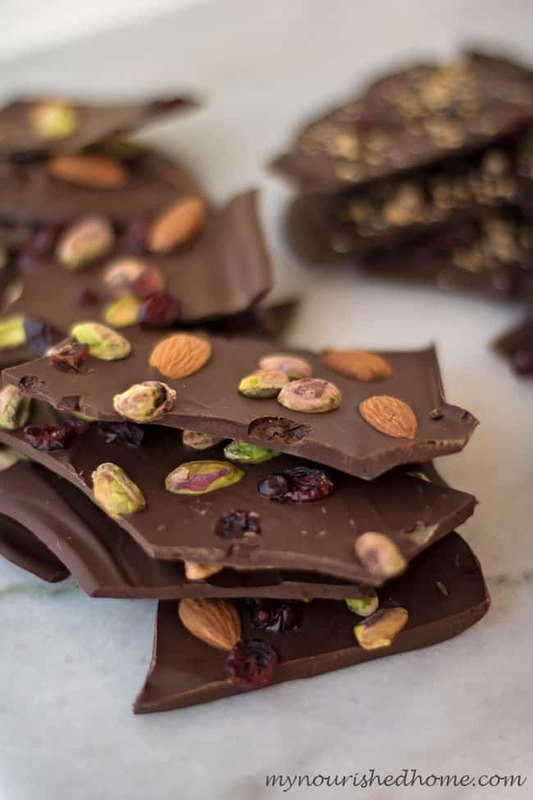 If you are looking for an easy treat, this easy to prepare Chocolate Bark Candy comes together in minutes and everyone LOVES it! Cut/dice blackberries, then mix up in a bowl with your sugar. You can add more or less sugar depending on your taste, but make sure there is a nice balance because it will be a "jam" like texture after baking. Divide crust shapes into two piles, then spread one of the piles out on a baking sheet. Drop a small spoonful of berries onto the center of each crust, making sure to leave a finger width sized edge all around. Top with the other half of your crusts, then go around all edges with a fork to seal. Bake at 350 for 15-18 minutes or until crust is golden brown. Serve as-is, sprinkle with crystal sugar, or drizzle in a favorite icing. By the way, we do something equally fun for Halloween! Check out these Jack-O-Lantern Hand Pies! Cynthia, this is such a lovely dessert! 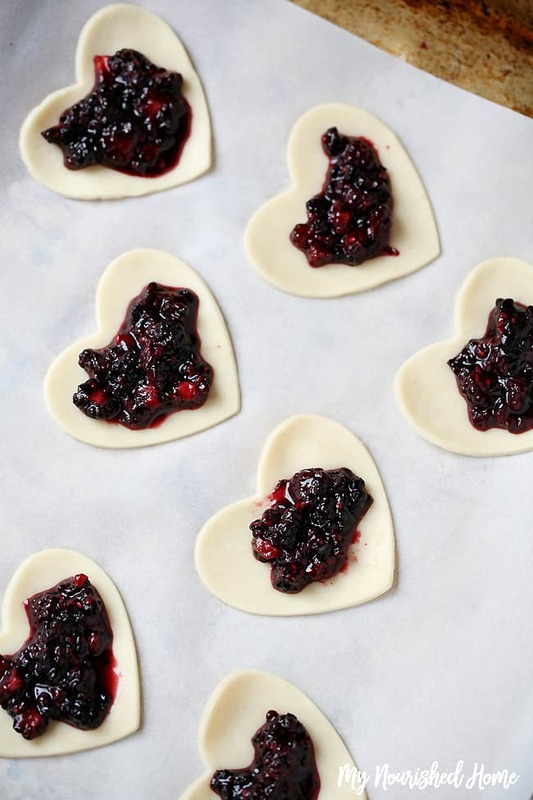 I love the way you photographed the berry pastry hearts. They must be delicious too! Oh Chynthia, I am loving everything about these post!! love the berries!